(GSM Insider) - The New HTC One Set For Launch In India In Next Month, April. Hey guys in India, the new HTC One is heading to your country soon. At today's preview event that held in New Delhi, HTC India confirms that the new HTC One set for launch in April 2013. But HTC India doesn't announce the exact date and the pricing of HTC One in the Indian market. 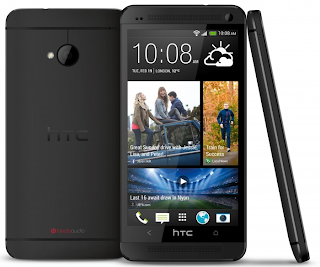 HTC One is the first device that runs on HTC Sense 5 that is based on Android 4.1 Jelly Bean. You can download the HTC One wallpapers in here to have a look at what's inside the device. For those who waiting for new flagship from HTC, you no need to wait anymore because HTC One is the only flagship for this year. (GSM Insider) - Samsung Galaxy Note 8.0 Launches In India As Samsung Galaxy Note 510. 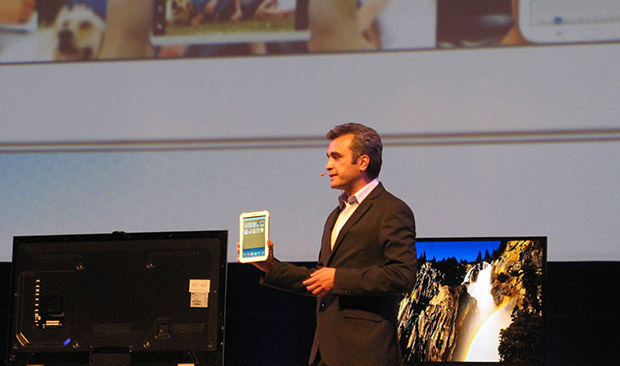 At the Mobile World Congress 2013, Samsung unveiled its latest 8-inch tablet known as the Samsung Galaxy Note 8.0. Samsung hopes that this 8-inch tablet with stylus able to challenge iPad Mini in the tablet market. Just a few weeks after the Mobile World Congress 2013 ended, Samsung already launched the Samsung Galaxy Note 8.0 in India. However, the Samsung Galaxy Note 8.0 in India known as the Samsung Galaxy Note 510. The Samsung Galaxy Note 510 has the same specs like the Samsung Galaxy Note 8.0. It has a 8-inch display with 1280 x 800 resolution, 1.6GHz quad-core processor, 2GB of RAM, 5-megapixels main camera, 1.3-megapixel secondary camera and it runs on Android 4.1 Jelly Bean. This Samsung Galaxy Note 510 is a phone as it is able to make calls and it is also a tablet as it features a stylus. No pricing of the Samsung Galaxy Note 510 in Indian market at the moment. 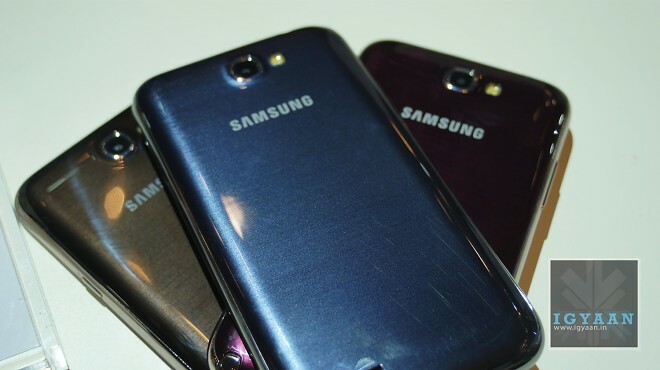 (GSM Insider) - Samsung Galaxy Note 2 Now Available In Three New Colors. Samsung has the tradition of adding new colors to its existing devices. Recently, the Samsung Galaxy Note 2 in pink was launched in the Korean market. But the pink is unlikely to arrive in the global market. And now, three more colors added to the Samsung Galaxy Note 2. At the moment, the Samsung Galaxy Note 2 is available in Titanium Gray and Marble White around the world. But these three colors were launched in the Indian market. So it remains unknown whether the Samsung Galaxy Note 2 is heading to more markets around the world. (GSM Insider) - BlackBerry Z10 Officially Launches In India. The latest BlackBerry 10 device, BlackBerry Z10 finally launches in the India. India is the third country after the United Kingdom and Canada that gets the BlackBerry Z10. The BlackBerry is definitely looking at the Indian market as one of the important markets for its devices. Furthermore, the BlackBerry devices are popular among the Indian users. The BlackBerry Z10 will be offered in over 2,000 retail locations across 50 cities around India at the quite hefty price of 43,490 rupees, which converts to $800. Anyone getting the BlackBerry Z10 with such expensive price tag? (GSM Insider) - Introducing MTV Volt V4, Specifications And Pricing Detail. Don't misunderstand. This MTV device isn't related to the MTV music channel after all. MTV Volt V4 is a 6-inch phablet that was previously launched in India. 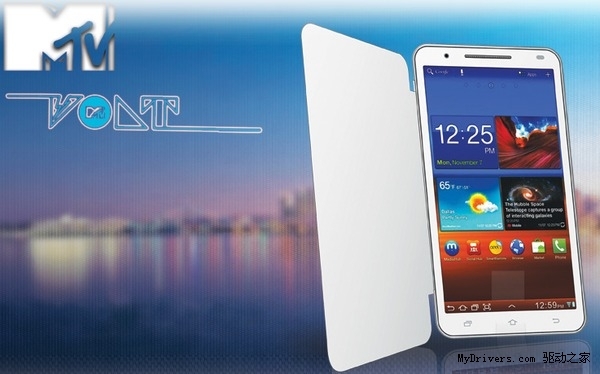 It is another low budget phablet that suitable for local people. MTV Volt V4 features a 6-inch display with 854 x 480 resolution. It was powered by 1GHz dual-core processor, 512MB of RAM and 4GB of ROM. MTV Volt V4 running on Android 4.1.1 Jelly Bean. MTV Volt V4 packs with 8-megapixels camera and 1.3-megapixel camera. This is dual SIM and dual standby mode device. There will be two models of MTV Volt V4. The first model of MTV Volt V4 will feature a 3500mAh battery while another model will feature a 4000mAh battery. MTV Volt V4 for sale in India with the price of INR$12999. (GSM Insider) - Introducing Byond Phablet PII, Priced At $279 With 5.7-inch Display, Jelly Bean And Dual SIM. 2003 will be the year with large display smartphone which is known as the phablet. Phablet is the device with the display between 5-inch to 7-inch. Recently, the Indian company Byond had introduced the Phablet PII which has 5.7-inch display. Byond Phablet P2 has a 5.7-inch display with 720p HD resolution. It is powered by a 1.2GHz dual-core processor, 1GB of RAM and 4GB of ROM. The Byond Phablet P2 features 8-megapixels rear-facing camera and 3-megapixels front facing camera. It runs on Android 4.1.1 Jelly Bean. The 2500mAh battery is slightly lesser capacity then other phablet in the market. 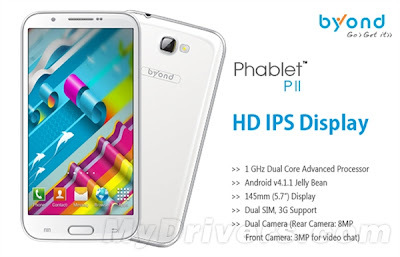 Byond Phablet P2 supports dual SIM feature. It is selling at Indian retailer Flipkart with the price of INR$14999 ($279). (GSM Insider) - Zopo Announces Its Plans To Release Sailfish OS Devices In India. Zopo Mobile is a mobile device manufacturer that based in China. It is the latest company joins the Sailfish OS party. According to Jolla Mobile, Chinese manufacturer Zopo is working on Sailfish OS based handsets. The Sailfish OS based handsets are set for the release in India. Neither Zopo nor Jolla announces on the availability of the Sailfish OS devices. But the first Sailfish OS device is set for launch in Q2 2013. 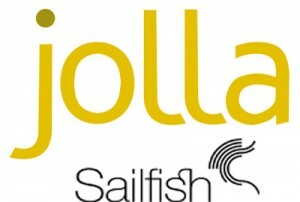 Sailfish OS is the successor of MeeGo as the Jolla Mobile is formed by a former team of developers from Nokia. Karbonn S1 Titanium just launches in India as it is another low budget device. The interesting part is not only the price but also the specs as well. Since it is a low budget device, the specs must be low, right? No. Its opposite as the specs of Karbonn S1 Titanium are impressive as well. Karbonn S1 Titanium features a 4.5-inch qHD display, 1.2GHz quad-core processor, 1GB of RAM, 4GB of internal memory and Android 4.1 Jelly Bean. Other specs of Karbonn S1 Titanium included 5-megapixels rear-facing camera, VGA front-facing camera, a MicroSD slot, WiFi, Bluetooth, GPS, USB port and a 1600mAh battery. The measurement of Karbonn S1 Titanium is 66 x 134.6 x 9.25 mm. Karbonn S1 Titanium on sale in India with the price of INR$10990 ($204). You can hit the source link to purchase the Karbonn S1 Titanium if you are interested. 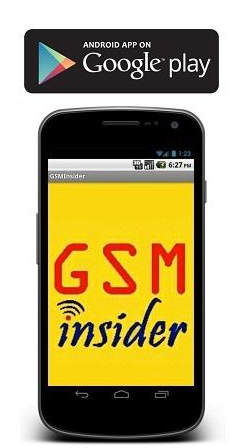 (GSM Insider) - DoT of India Dismissed Huawei And ZTE's Demand For "Domestic Manufacturer" Status. According to the Times of India, the Indian Department of Telecom has dismissed the Huawei and ZTE's demand for "domestic manufacturer" status. "We have already included members from the industry and we may not include them (read: ZTE) now," said an internal noting in a DoT note also reviewed by ET. What's more, the telecom department has also dismissed ZTE Telecom India's inclusion in a proposed subgroup for promoting domestic telecom manufacturing. The decision from Huawei is definitely a blow for these two Chinese manufacturers that tried to enter the Indian market as the market on the rising. 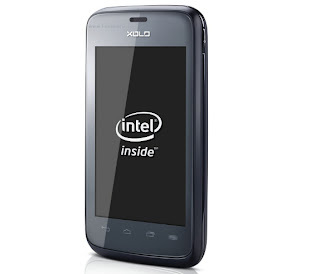 (GSM Insider) - Intel Launches Low-Budged Devices With Intel Lexington - Safaricom Yolo and Lava Xolo X500 . A few days ago, Intel launched its low-budget processor known as the Intel Atom Z2420 or better known as the Intel Lexington. 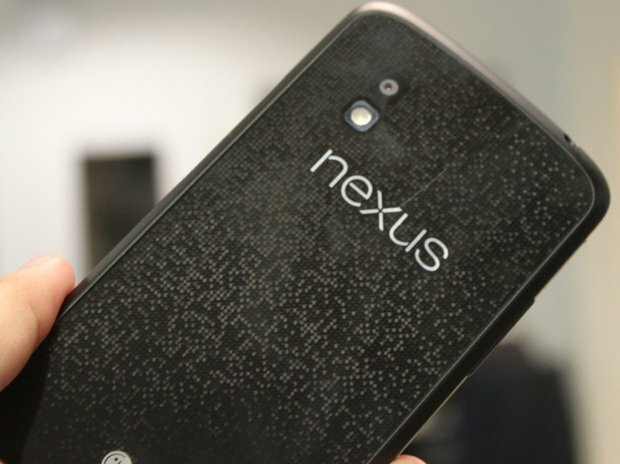 Not long after that, the devices that powered by this chip were launched in Africa and Asia. The first device is the Safaricom Yolo that is sold in Kenya. Safaricom Yolo costs 10,999 Kenyan shillings, which is about $126. The second device is the Lava Xolo X500 for India. It follows the footstep of Lava Xolo X900 which is powered by Intel Atom as well. It will on sale this weekend in India for 8,999 rupees, which is $168 or €125. Actually both devices are having the same design as well as the same specs. Just Intel has launched them in two different regions and renamed them to different names. Lava Xolo X500 and Safaricom Yolo has a 3.5-inch display with 480 x 320 resolution, 1.2GHz Intel Lexington processor, 512MB RAM, 5-megapixel of rear-facing camera, 4GB of ROM, a MicroSD card slot and 1500mAh battery. 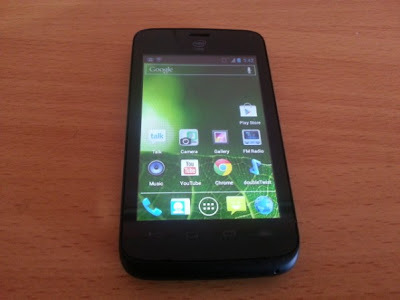 Since both are targeting at low-budget customer, they are powered a rather older Android 4.0 Ice Cream Sandwich. (GSM Insider) - Samsung Galaxy Grand Duos Officially Announces In India, Priced At Rs 21,500. Samsung Galaxy Grand Duos is a 5-inch phablet with dual-SIM and dual stand-by features. But it is just a mid-range device and not the Full HD device. Samsung Galaxy Grand Duos is finally announces for the Indian market. India is among the first few countries that getting the 5-inch mid-range phablet. Samsung Galaxy Grand Duos having a 5-inch display with WVGA resolution. 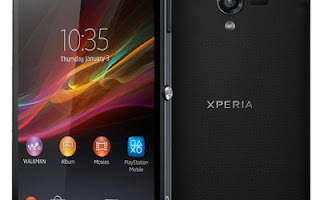 It is powered by a 1.2GHz dual-core processor, 1GB of RAM and 8GB of ROM. 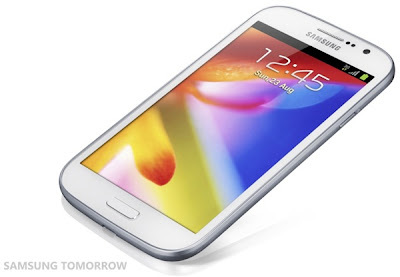 Samsung Galaxy Grand Duos has a 8MP rear-facing camera and a 2MP front-facing camera. So you can use both camera to capture photo. Other than these specs, Samsung Galaxy Grand Duos is running on Android 4.1 Jelly Bean and having 2100mAh battery on board. With this Samsung Galaxy Grand Duos, you insert two SIM cards at once and using both SIM cards at the same time. So you can accept the calls and messages with both SIM cards at the same time. This is what dual stand-by mode is about. Samsung Galaxy Grand Duos is available in India with the price of Rs 21,500 which is around $420. (GSM Insider) - HTC Butterfly Officially Launches For South Asia, Arriving At Thailand, Malaysia, India and Singapore Soon. Its a good news! Earlier today, HTC Malaysia and Qualcomm joined hands and launch the latest phablet from the Taiwanese company, known as the HTC Butterfly. The launch event was held at the capital of Malaysia. 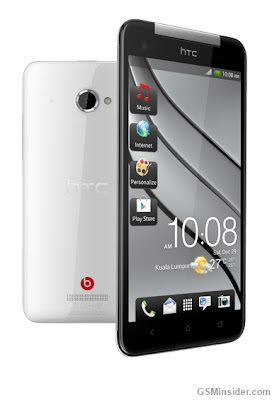 The HTC Butterfly having a 5-inch 1080p Full HD display and powered by the powerful 1.5GHz Snapdragon S4 Pro quad-core processor. The HTC Butterfly was on sale three days earlier in Malaysia and the HTC Butterfly is priced at MYR 2299. So those living in Thailand, India, Singapore, Philippines, Indonesia and Myanmar should convert the price to local currency for the possible pricing. HTC confirms with GSM Insider that only red and white HTC Butterfly selling in Malaysia. 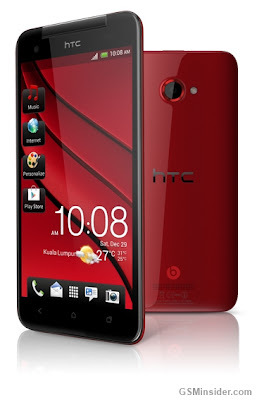 Kuala Lumpur, 18th January, 2013 – HTC Corporation, a global leader in mobile innovation and design, today announced the availability in South Asia of HTC Butterfly, the ultimate smartphone and the first with a full HD 1080p display. HTC Butterfly not only offers the first full HD 1080p display with the highest pixel density of any smartphone, but also features the latest Qualcomm Snapdragon quad-core processor, HTC Sense 4+ and Android Jelly Bean. "HTC Butterfly is quite simply the most stunning smartphone HTC has created to date, with a display that people will fall in love with instantly,” said Lennard Hoornik, President, South Asia, HTC Corporation. "It offers the best experience in terms of performance, design and innovation, and is our most eagerly anticipated smartphone with rave reviews from media and consumers alike." With technology rivaling the latest HD TV's, HTC Butterfly is the first smartphone to feature a true 1080p full HD super LCD 3 display with Corning® Gorilla® Glass 2 protection. It boasts an extraordinary 440 pixels per inch (PPI) on a 5-inch screen for unprecedented in-hand HD experiences that delivers the maximum pixel clarity available on a smartphone. The Qualcomm® Snapdragon™ S4 Pro processor, featuring a quad-core 1.5 GHz CPU, high-performance GPU and a full 2GB of RAM enable the seamless use of multiple apps simultaneously. With HTC Sense® 4+ and Android™ 4.1 (Jelly Bean), you get great software experiences including Google Now. HTC Butterfly is equipped with a 2,020 mAh battery and power saving software that enables long-lasting endurance, while users will also appreciate the expandable SD card slot in addition to 25GB of free Dropbox cloud storage. HTC Sense 4+ offers a wealth of easy-to-use and customizable features bringing highly sought after personalization to your phone and placing the most important content front and center. A series of intelligent features powered by HTC Sense 4+ also provides a number of improvements to the camera. HTC Butterfly has a world-class camera that delivers fast image capture, great images even in low-light and an easy interface to capture stills and video. With an 8-megapixel f/2.0 28mm wide-angle lens, 5-level automatic flash, backside illuminated sensor (BSI), and superfast autofocus, you'll capture amazing moments without the worry of missing a single one. Instead of choosing between photos and video, HTC VideoPic™ allows you to capture video and still images at the same time. And by simply holding the shutter button, Continuous Shooting takes multiple photos at up to four frames per second to catch all the action. The HTC Butterfly’s unique built-in headset amplifier and dedicated amp for the external rear-speaker, helps boost the audio signal to deliver crystal clear sound with less distortion, even at maximum volume. The combination of amplified hardware and the rich, authentic, studio-quality sound of Beats Audio™ allows music to be heard the way the artist intended, and enhances the sound quality while playing games or watching video. HTC Butterfly is available at all HTC authorized retailers and mobile operators – Celcom, DiGi, Maxis, TuneTalk, and U Mobile – at RRP 2,299 starting end-January. Yesterday, there are users found out that actually the Nokia Lumia 920 selling in India does support 9 different LTE bands. It means that it is working in many different regions around the world. Sound special, right? Actually it is not so special after all because Nokia India already removed the LTE references from the official Nokia India website. The main reason is because the Nokia Lumia 920 does support 9 LTE bands but non-of those bands working in India (Disappointed!). The 4G LTE bandwidth in India is based on TD-LTE which is similar like the network of China Mobile. China Mobile using TD-LTE and TD-SCDMA networks. However, the 9 LTE bands that supported by Nokia Lumia 920 do not include the TD-LTE. In order words, the Nokia Lumia 920 does not support local LTE network in India. If you purchased the Nokia Lumia 920 from India, you might able to access the LTE networks outside India. This is a good news for you. If you purchased Nokia Lumia 920T from China and heading to India soon, you device might able to work on local LTE network. 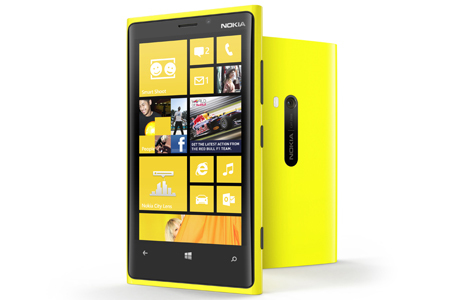 Nokia Lumia 920T is the Nokia Lumia 920 variant for China Mobile. Another budget tablet on sale in the world's second largest country by population, India. 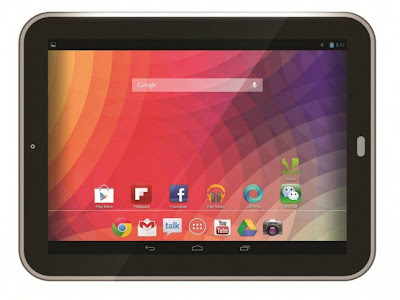 It is the Smart Tab 10 from Karbonn. Karbonn is the manufacturer that based in India and popular by introducing budget tablet at domestic market. Karbonn Smart Tab 10 not really has a 10-inch display but has only 9.7-inch display. The resolution is 1024 x 768 pixels. The Karbonn Smart Tab 10 tablet powered by 1.5GHz MediaTek dual-core processor and 1GB of RAM. The rear camera only 2-megapixels and front camera is VGA quality. Other features include microSD expansion, HDMI port, USB port and some other pre-loaded software. Karbonn Smart Tab 10 comes with 6000mAh battery which is impressive. It runs on Android 4.1 Jelly Bean operating system. Karbonn Smart Tab 10 on sale at the stores across India. Click here to reach the Karbonn official website for more information. Folks at India, good news for you as both of the flagships from LG coming to your country in next month. According to latest source from India stated that LG Optimus G and its sibling LG Nexus 4 coming to India on January 2013. LG Optimus G is the flagship from LG while the Nexus 4 is the latest flagship from Google. LG built the latest Nexus smartphone based on the LG Optimus G. The overall design are different between both devices as the Nexus is rounded corner and the LG Optimus G is toward square design. LG Optimus G and Nexus 4 are sharing the specs included 4.7-inch of 720p display, 1.5GHz Snapdragon S4 Pro quad-core processor, 2GB of RAM and 8-megapixels of rear camera. The difference included LG Optimus G running on Android 4.0 Ice Cream Sandwich while LG Nexus 4 running on Android 4.2 Jelly Bean. The Android 4.1 Jelly Bean expected to available at the LG Optimus G soon. Another difference is LG Optimus G supported microSD expansion but not the case of Nexus 4. Folks from India, if you need large space of memory, should go for the Optimus G. Finally, the Nexus 4 does not support USB OTG but Optimus G supports it. With the launch date set on January 2013, there are no information yet on the pricing of both devices. We will update you once the information available.